Years of my life went into the making of this CD. The music tells the story of struggle and longing to reach one simple truth: It’s the people in our lives that matter the most. Always think big, love hard, believe in yourself and never give up. 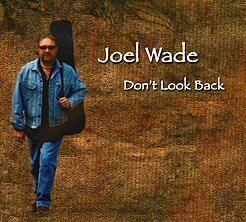 - Joel Wade- Don't Look Back. A Vancouver, British Columbia native, Joel cut his first record at sixteen years old with west coast rock band Stallion Thumrock. Recorded at A&M studios in Hollywood, he worked with acclaimed Engineer/Producer Tommy Vicari, and keyboardist extraordinaire Clarence White. 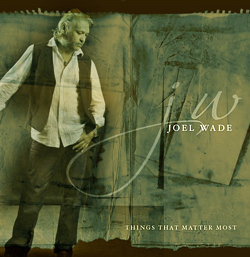 Singing, writing and playing guitar and bass since childhood, Joel has performed and produced numerous recording sessions since then with world renowned musicians Ringo Starr, Harry Neilson, Bob Rock, and Ric Emmett. Working with his brother Brett Wade, the Wade Brothers album, released on CBS Records, gaurnered two top ten hits. Following CBS Records, Joel signed an international songwriting contract with BMG. Joels family roots run deep in music, going back to his great uncle, operetic tenor great Jussi Bjeorling. Bjeorling isconsidered by many to be the greatest operatic tenor of all time. Influenced by a wide range of artists from Stevie Wonder to Joni Mitchell, the warm and soulful sound of his voice captures everyone who hears it. Joel Wade begins performances the summer of 2005 with his independent release - Dont Look Back.